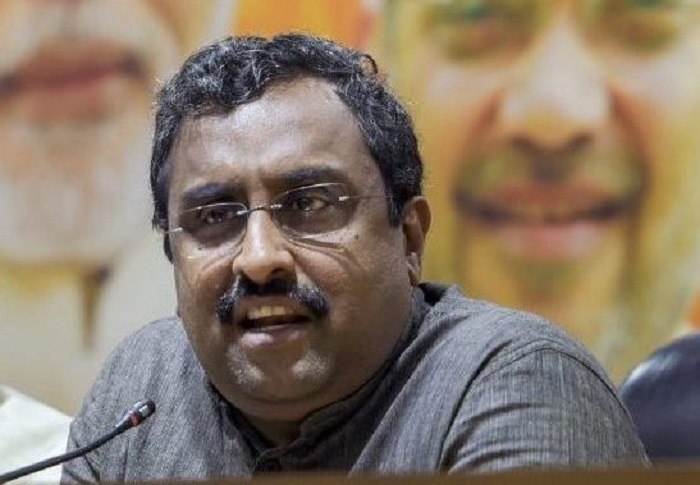 Guwahati, Jan 18: Taking a dig at Mahagathbandhan’s mega political show in Kolkata, senior BJP leader Ram Madhav said that political chaos of so-called grand alliance will not affect the prospects of BJP. Speaking to the media persons, the BJP National General Secretary claimed that under the strong leadership of Prime Minister Narendra Modi, the ruling party will comprehensively win the general election with better strike rate. Dubbing Mahagathbandhan as a non-starter entity, Madhav stated that Mahagathbandhan members having no substantial programme and policies will fail miserably against the solid development agenda of Prime Minister Modi. He went on saying that no Mahagathbandhan leader can directly take on Modi.